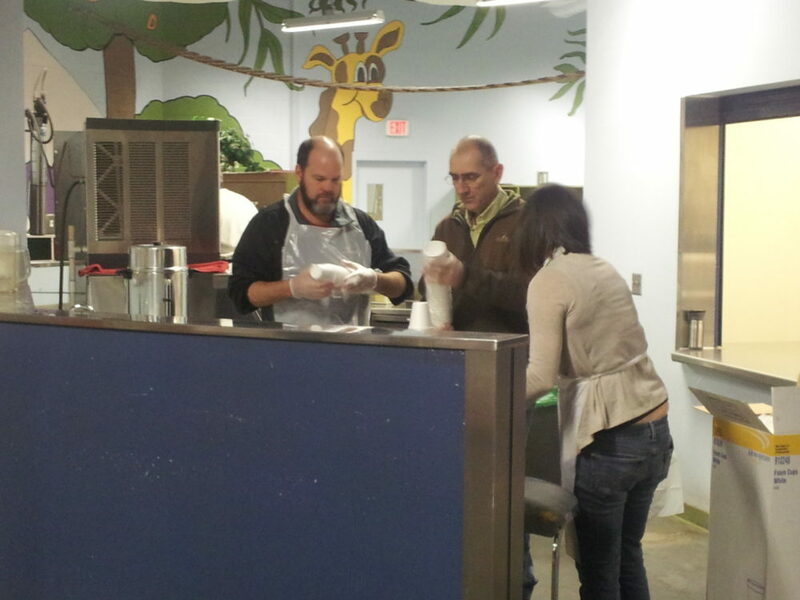 On January 9, 2013, twenty representatives of FamilyFarms Group, both Team members and staff, volunteered to serve breakfast at St. Vincent de Paul in Phoenix, Arizona. Planning for our winter conference in Phoenix, FamilyFarms Charities arranged for volunteers to rise early on Wednesday morning and head to the “soup kitchen” where hundreds are fed each day. Walking several blocks with city guides well before daylight, the volunteers passed many homeless people sleeping on the streets…despite the highly unusual below-freezing temps. The “guides” who walked with our group to the center early that morning were intrigued by the idea of a group in town for a conference volunteering to serve at the soup kitchen. They, like us, hope this idea will spread quickly and other visitors will volunteer their services. 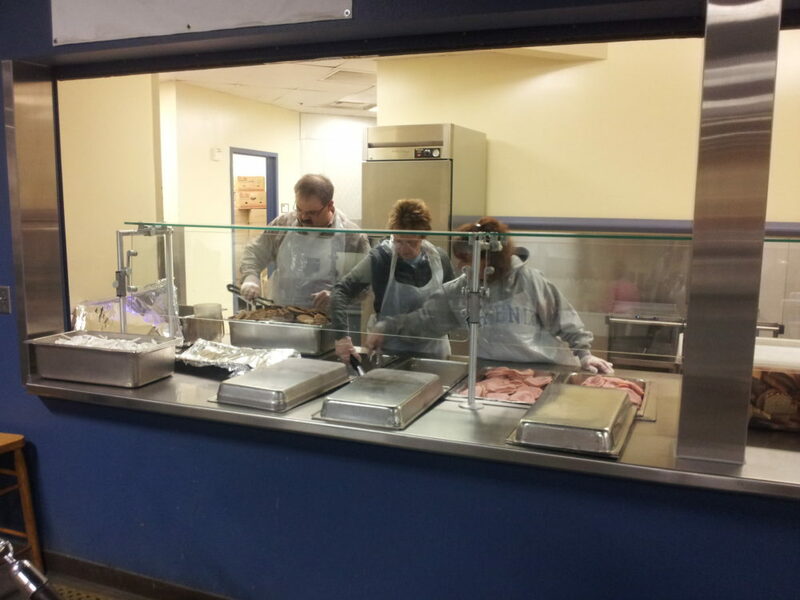 Once there, our group helped prepare everything needed to serve the meal. 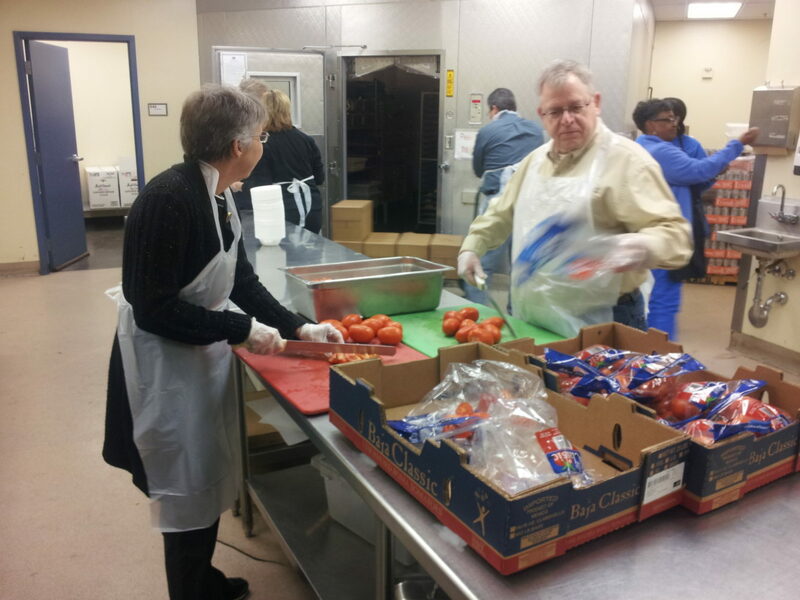 Between 7 and 8 a.m., 586 breakfasts were served, tables were wiped clean and trash was hauled out by volunteers. The long line waiting to get inside and receive breakfast was constant and orderly. Cleanup was complete by 8:30 and volunteers walked back to the conference center in time for morning sessions. FamilyFarms Charities volunteers agreed it was a huge blessing to serve others in this way and all are eager to repeat this in other cities as we have future conferences across North America. Our heart’s desire is to do exactly that and to see more of our colleagues join us as volunteers. Those we served voiced their gratitude and the staff at St. Vincent de Paul were amazed at the energy and heart demonstrated by our group. Imagine the faces of the St. Vincent de Paul staff when FamilyFarms Charities also presented them with a check for $1,000 to help with costs of providing meals to the homeless. Feeding the hungry is an important focus of FamilyFarms Charities. 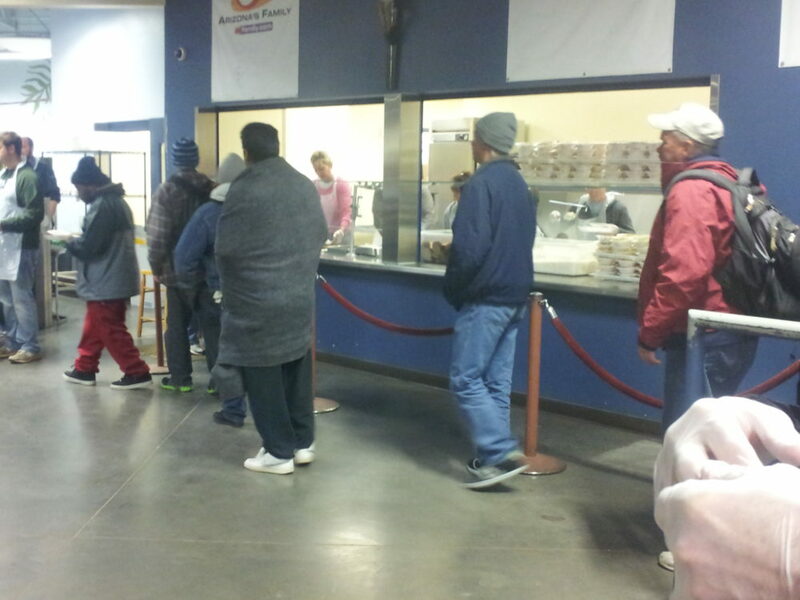 We who are so blessed are privileged to have the opportunity to help those in need. As farmers, we believe agriculture is, indeed, an appropriate vehicle for change.